Files on 23 people and organisations involved in the 1989 Hillsborough disaster have been passed to the Crown Prosecution Service (CPS). 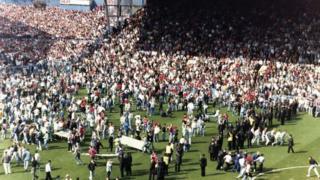 An inquests jury concluded in April the 96 victims of the FA Cup semi-final tragedy were unlawfully killed. The jury found the match commander, Ch Supt David Duckenfield, responsible for manslaughter by gross negligence. Prosecutors will now decide whether to bring criminal charges against the unnamed 23. Margaret Aspinall, whose son James died in the disaster, described it as a "momentous" day. She said for years "we had no-one" and now "[we are being told] there is potentially 23." Wendy Hamilton, whose husband Roy died in the disaster, said: "We have waited a long time to get to this. "We need it to be hurried up. We need them to move on with it more quickly than they are." Law firm Broudie Jackson Canter, which represents 20 of the Hillsborough families, said its clients were "relieved" the files had been passed to the CPS. Director Elkan Abrahamson said: "Given that the CPS has been working with the police and the Independent Police Complaints Commission (IPCC) for many years, we believe decisions should now be taken without further delay. "We will continue to scrutinise the process and any decisions." The announcement follows the conclusion of two criminal investigations - ordered in 2012 following the publication of the Hillsborough Independent Panel report - by Operation Resolve and the IPCC. Operation Resolve examined events up to and including the day of the disaster, including the police planning and preparation, ground design and the emergency response. The IPCC focused on the conduct of both South Yorkshire Police and West Midlands Police and allegations of a cover-up in the days and weeks that followed the tragedy. 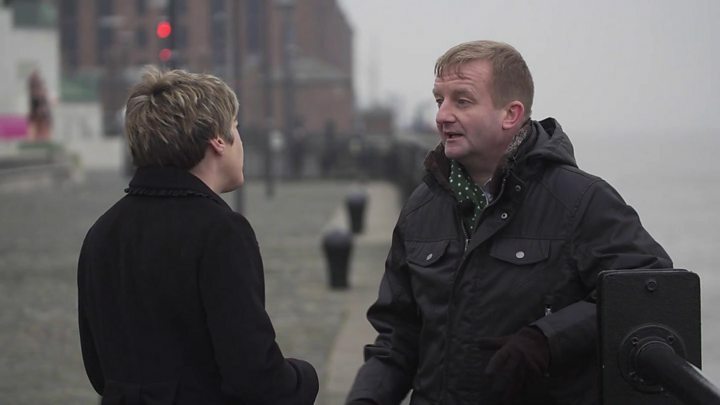 Media captionHillsborough survivor Damian Kavanagh: "History should record what happened correctly"
Fifteen of the 23 suspects relate to Operation Resolve and eight to the IPCC investigation, but names of have not been made public. Some of those previously named as suspects have died and cannot therefore be prosecuted. More than 170 allegations of police misconduct continue to be investigated by both the IPCC and Operation Resolve. The CPS will also consider "any other relevant offences" on the evidence presented by both investigation teams, the IPCC said. Assistant Commissioner Robert Beckley, officer in overall command of Operation Resolve, said the "extensive file" submitted contained "over 35 million words" and reflected "four years of intense work from my teams." Families of those who died in the tragedy at Sheffield have campaigned for more than 25 years to have individuals or public bodies held to account. Giving evidence at the Hillsborough inquests, former South Yorkshire Ch Supt Duckenfield accepted his failure to close a tunnel was the "direct cause of the deaths of 96 people". In a recent book, Sir Norman Bettison revealed he was being treated as a suspect by the IPCC in mid-2015. Sir Norman, who was part of a police team that gathered Hillsborough evidence for use at a public inquiry, was Chief Constable of Merseyside Police from 1998 to 2004 and chief constable of the West Yorkshire force until he resigned in 2012. At the inquests, he said he was not part of a "black propaganda unit" set up to blame Liverpool fans. It is not known whether his name has been put forward for a charging decision. The IPCC probe is the biggest criminal investigation into alleged police misconduct ever conducted in England and Wales. It is understood the CPS may take up to six months to consider all the evidence. For years, the friends and families of the 96 Hillsborough victims have campaigned for individuals and corporate organisations to be held accountable. In 1990, Lord Justice Taylor's report following the public inquiry into the disaster stated that "a failure of police control" was the main cause. But the Director of Public Prosecutions in England and Wales decided there was no justification to bring any prosecutions. A year later, after accidental death verdicts were recorded, the families vowed to campaign for fresh inquests. In 1997, after reviewing fresh evidence, Lord Justice Stuart-Smith said there was no such justification for a new inquiry. But the families' quest for justice never ceased and was boosted in 2009 when the government agreed that all evidence relating to Hillsborough must be disclosed by all organisations involved. The results were made public by the Hillsborough Independent Panel (HIP) in 2012, paving the way for the fresh inquests in the spring of 2014. Last year the inquest jury concluded the 96 fans had been unlawfully killed and exonerated fans of any blame. The HIP report also led to the Operation Resolve and IPCC investigations.